The way we see it, life is just one big journey, and we are here to help people make more enlightening stops along the way. But what does that mean, exactly? It means helping them have more fun dreaming and planning by offering up trip and destination ideas that range from time tested to unexpected via Inspire. 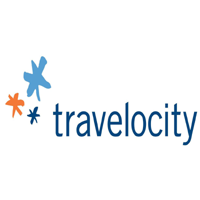 Giving them more fulfilling journeys and more cherished memories by delivering innovative products at Travelocity Customer First Guarantee that provides personal support before, during and after the trip. And of course, reminding them to bring snacks on long flights.